Yummy pineapples in orange, yellow, and coral on a light mint background. Mint minky back and a cream satin ruffle. 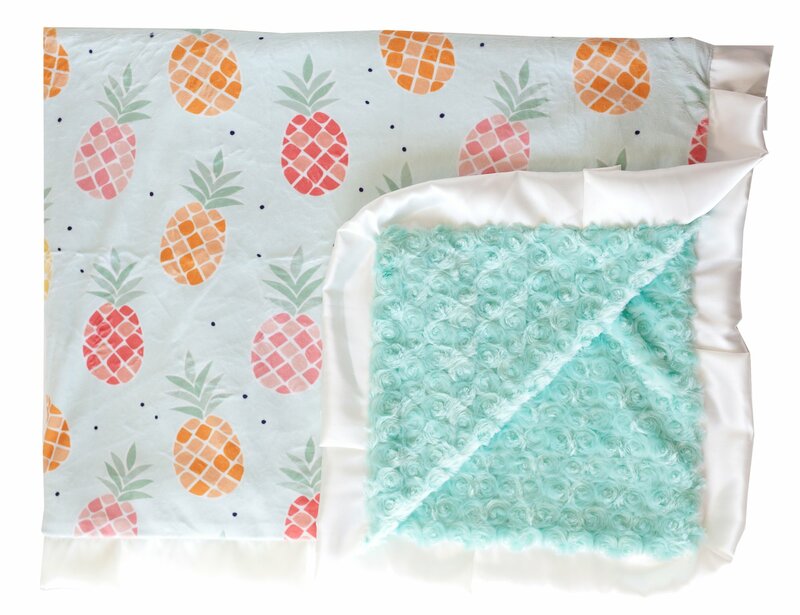 Our Pineapple print is an exclusive design and can only be found at Minky Couture.